Winter time means we tend to drink more richly textured and flavoured red wine; while it’s tempting to pick familiar wine from the shelf it pays to be brave and choose something you haven’t tried before from the shelves of Fresh Choice Nelson. 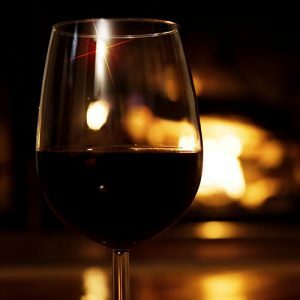 When you’re looking for a red wine to enjoy this winter if you bypass wines made from grape varieties like Carmenere, Malbec, Tempranillo, Zinfandel, Grenache or even blended wines like the Man O’ War Merlot, Cabernet, Malbec, Petite Verdot, then you are letting your eyes wander past some absolute delights. Wines like Estampa Estate Carmenere Malbec ($15.99 on promotion) from Chile, or the 2014 Chateau Bovila Malbec ($18.99) from Cahors in southwest France are vwines packed with richness without the almost too-sweet and jam-like characters found in some Australian wines. Don’t get me wrong, there is a time and place for big red wine, that’s rich and sweet-fruited, but for something with a little more finesse, consider these old varieties grown in places like Spain, Argentina, Chile and France. Wineries in California produce some simply outstanding examples of Zinfandel, wines with powerful and rich black berry fruit flavours. Malbec is a major variety in Argentina where the warm climate delivers a wine with deep red colours, bold flavours and a vibrancy that comes from beautifully ripe acidity in the background. Carmenere is the grape variety behind many of Chile’s finest red wines, it produces deeply flavoured and enticingly smooth red wines. Wine from Chile, Argentina and Spain have always been outstanding value for money if you are prepared to spend between $18 and $25. This winter be brave, step outside your wine comfort zone and discover a whole world of wines. If you’re unsure which to choose, just ask the knowledgeable staff in the wine section at Fresh choice Nelson for some advice, they have an outstanding selection to choose from.